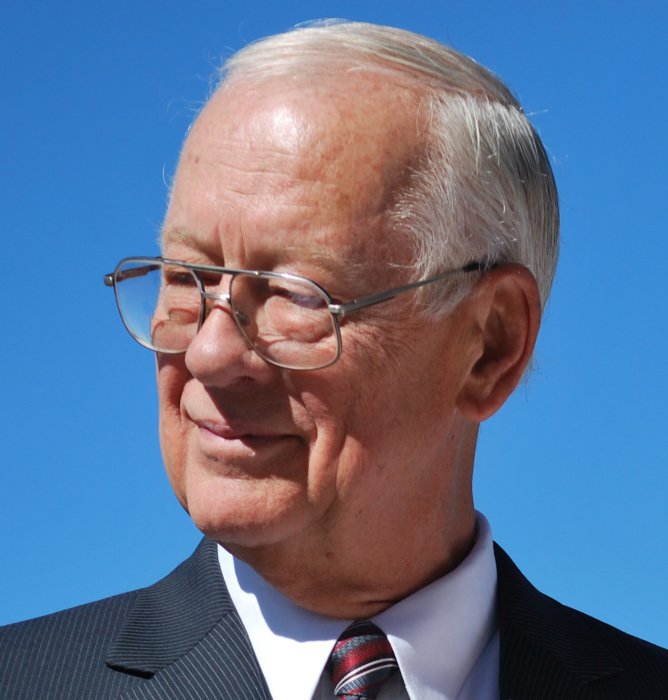 Preston, Idaho — A great man, Jerry Lee Hatchett, 80, passed away peacefully Wednesday, April 10, 2019 at the Franklin County Medical Center in Preston, Idaho following an ongoing battle with multiple health challenges. He leaves his wife of eight years, Ramona Lower Hatchett; his son Larry and wife Mary and their four children Elizabeth, David and his wife Christine, Michael and Karmen, his daughter Debra, his son Karl and son Steven and his wife Kimberly and their two children Rhees and his wife Makenna and Lauren and her husband Jace; his step-daughter Teresa Gray and her husband Jack and their two children Jimmie and Jessica and step son Ryan Lower and his wife Alisha and their two children Easton and Bryce. Jerry is also the proud great-grandpa of Avery Heinrichs and Keigan Hatchett. Jerry also leaves many dear friends in the Mink Creek and Preston area as well as around the country. Born and raised in Indianapolis, Indiana, Jerry was the unexpected son to Lee and Wilma Hatchett who had ten dollars to their names when Jerry was born. Although Jerry was a surprise, he was a welcome surprise whom they loved dearly. Jerry had one brother Tom Hatchett, who was three years older than him. Although they fought like typical brothers, they loved each other and enjoyed growing up together in Indiana. In his early years, Jerry was heavily involved in cultivating a large garden that not only fed his family but in Jerry’s words, “could feed half the neighborhood”. Jerry loved animals and grew up with many dogs, cats, chickens, pigs, horses and other animals. Jerry was frustrated that most children his age would be able to play games while he had to work, however the work ethic that was instilled in him at an early age would be his legacy. Jerry remained one of the hardest working and most determined men till the day he passed. During his formative years, Jerry worked many jobs from stationary stock boy to railroad switch tender in his youth. One of Jerry’s greatest accomplishments was convincing Karmen Tolson to marry him. Jerry met Karmen when she was working in a jewelry store. Karmen was intelligent and very attractive and she was often used to model the jewelry. Jerry thought she was very attractive too and when he saw her for the first time he shared a brownie with her. That was the best brownie he ever had and led to 52 years of marriage. They both have always loved sweets and each other. 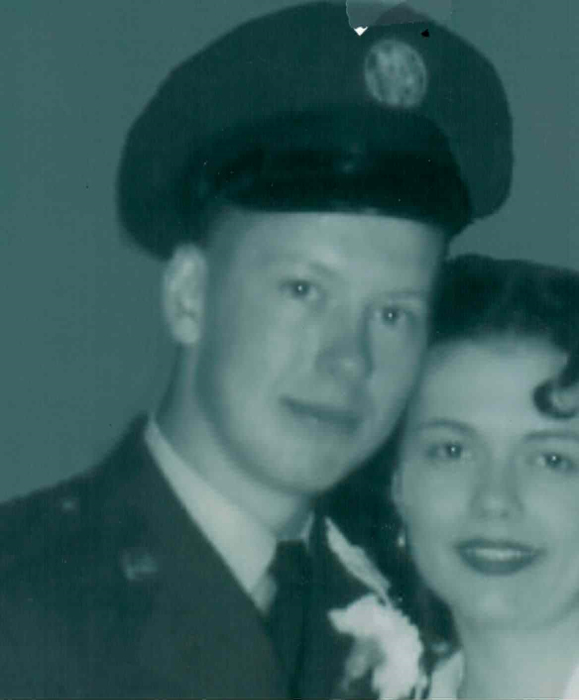 Jerry joined the United States Air Force in 1956 and completed his four years of service in Abilene,Texas. Although Jerry struggled with dyslexia, he would become one of the most educated members of his family. Jerry received his Bachelor of Engineering (EEE) and Masters of Aeronautical Engineering from Purdue University and Masters of Management from University of Dayton. Jerry worked for RCA, Arvin Systems and Goodyear Aerospace prior to returning to work for the United States Air Force as a Civil Servant. Jerry loved engineering and project management. He loved making things more efficient and cost effective and believed that every project should be completed on time and within budget. Jerry served as a civil servant for 26 years and retired early at 60 years old. Jerry and Karmen served a mission for the Church of Jesus Christ of Latter Day Saints in Denton, Texas and loved the opportunity to preach the Gospel, be a friend to everyone he met and spend time with his sweet wife until her passing in 2009. Jerry was blessed to meet a special lady Ramona Lower in Saint George, Utah and they were married in Preston, Idaho on September 11, 2010. They were both learners and doers and could see the value in getting things done. They worked hard and played hard. Jerry loved Ramona very much and always referred to her as his “special lady”. Ramona took extra special care of Jerry as his health declined and made sure he was loved until his passing.